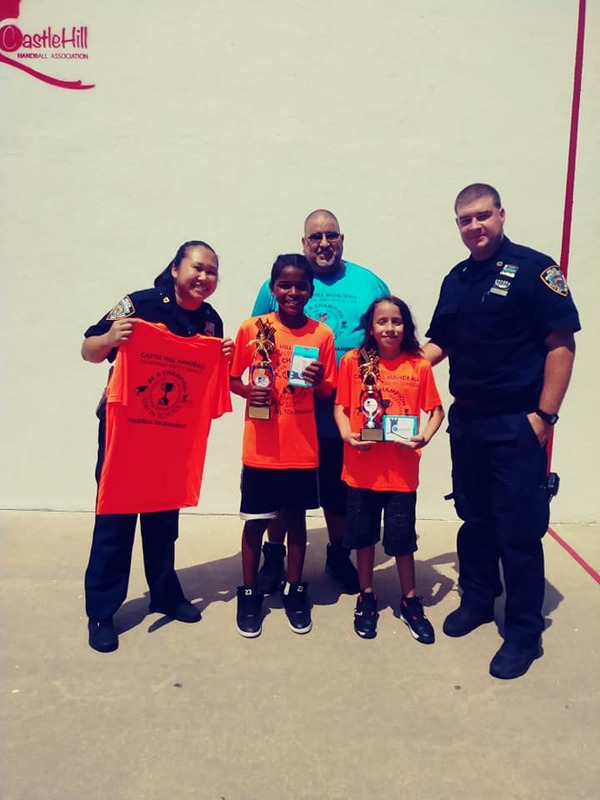 Brooklyn, NY, WPH Press, 8/6/18– JR WPH was thrilled to be one of the sponsors of Castle Hill Handball Association’s 3rd Annual Stay in School Handball Tournament, featuring more than 70 junior handball players between the ages of 5-17 at Castle Hill Ave. Handball Courts in Brooklyn, NY. Each participant of the Stay in School Handball Tournament received a free backpack with school supplies filled with school year essentials. 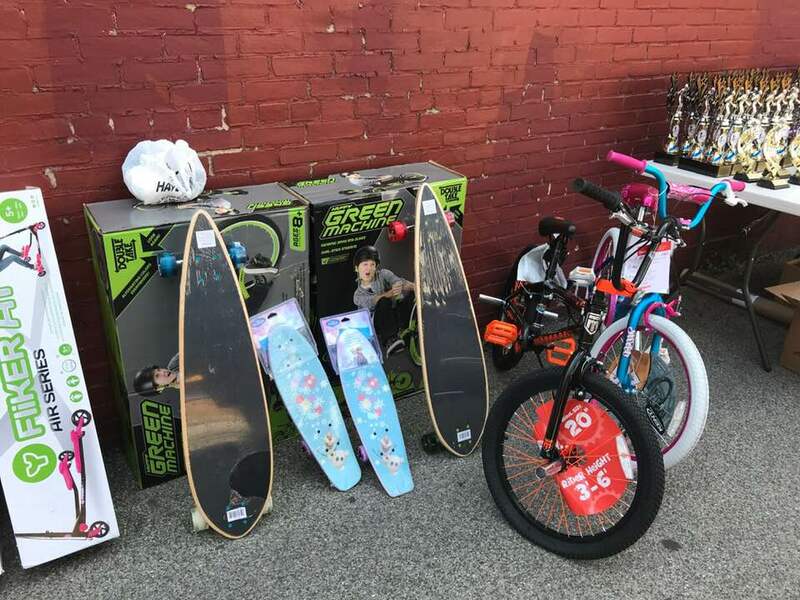 In addition to receiving backpacks and school supplies for participating, the top three finishers in each age group won laptops, bicycles, tablets, and more. 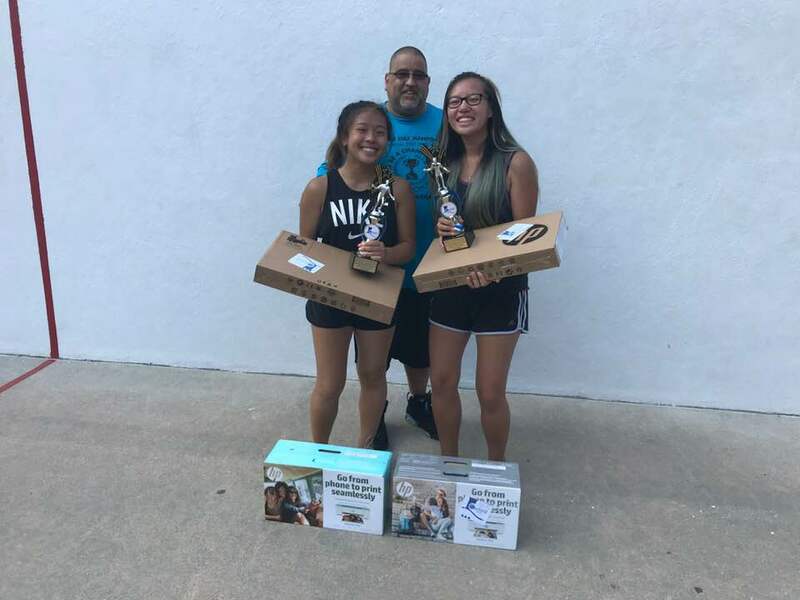 When not competing in boy’s and girl’s singles brackets at the Stay in School extravaganza, the youngsters had the opportunity to learn from the best in the game. New York City 1-Wall stars Tywan Cook, Hector Velez, Allan Sanchez, and Carlin Rosa coached clinics for the youngsters throughout the day, emphasizing footwork and the fundamentals to making solid contact with the ball. The pros set up cones in various spots on the court, with the youngsters running through the cones and serving after reaching the final cone. The older junior players also had the opportunity to rally with and play points against the top players. 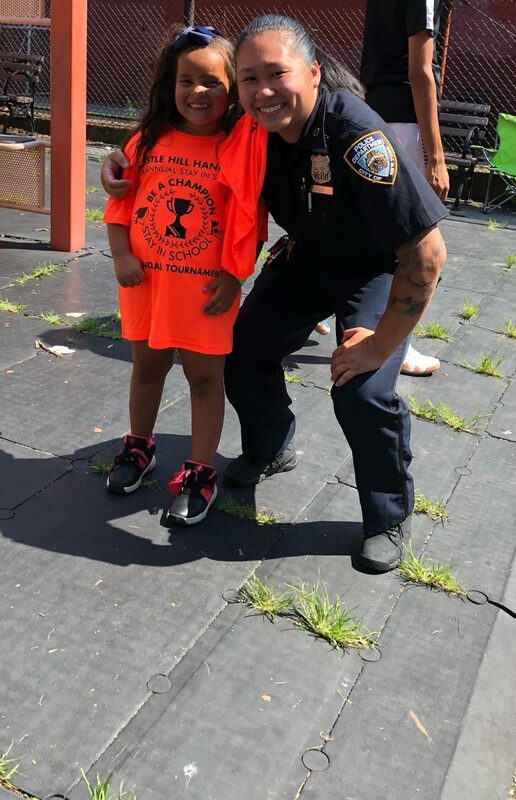 “This event is all about getting the kids excited and giving the kids skills to reach their potential in the classroom,” stated handball ambassador and high school teacher Michael Dembin. Photos courtesy of Michael Dembin, Veronica Figueora, Christina Marie Torres, and Nancy Western.